Regarding Appellants’ contentions, our reviewing court has held that drawings can be used as prior art, without referring to the surrounding description, only if the prior art features are clearly disclosed by the drawing. See, e.g., In re Wagner, 63 F.2d 987, 986–87 (CCPA 1933). Here, the filets, which transition between Sirhan’s scoring element (or wing) and balloon wall, are clearly disclosed. 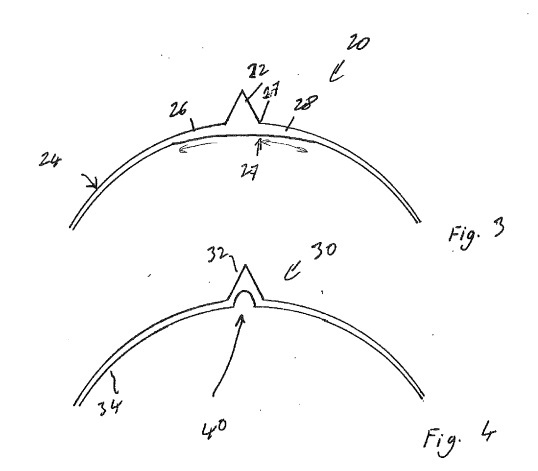 See also In re Mraz, 455 F.2d 1069, 1072 (CCPA 1972) (“[W]e did not mean that things patent drawings show clearly are to be disregarded.”); In re Seid, 161 F.2d 229, 231 (CCPA 1947) (“ [A]n accidental disclosure, if clearly made in a drawing, is available as a reference.” ) (citations omitted). Accordingly, we are not persuaded by Appellants’ contentions that the described filet does not exist or is merely the result of artistic license. 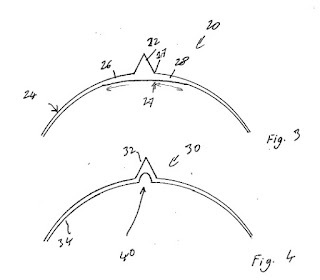 Instead, the Examiner can properly rely on Sirhan’s disclosure of the curved filet adjacent the scoring element.